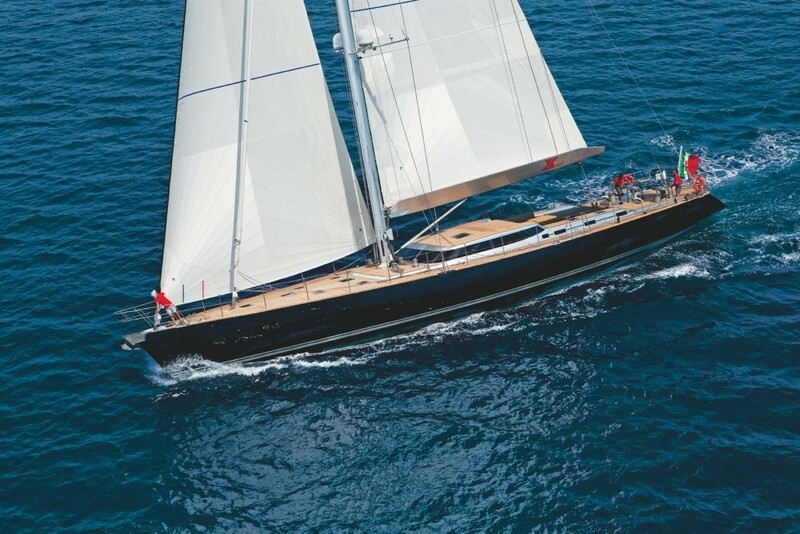 Measuring 30.65 meters in length, the luxury sailing yacht XNOI (pronounced per noi – “for us”) is an exceptional sloop, launched by the respected Italian builder Perini Navi in 2012. 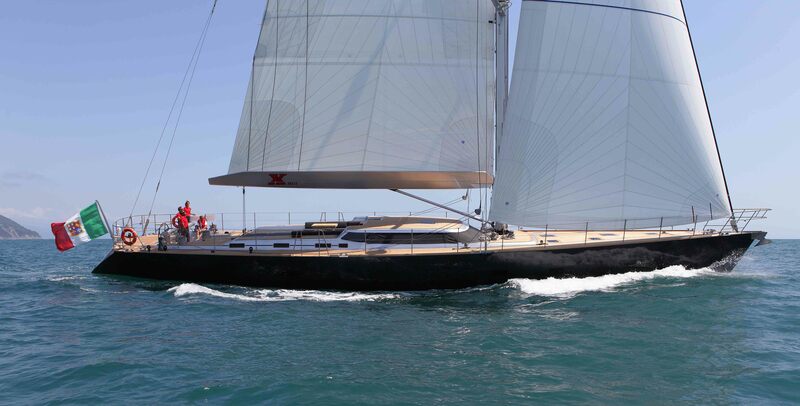 With naval architecture by Indiana Yachting, the XNOI Superyacht is designed by Mario Pedol as well as Massimo Gino from well-known Nauta Yacht Design. 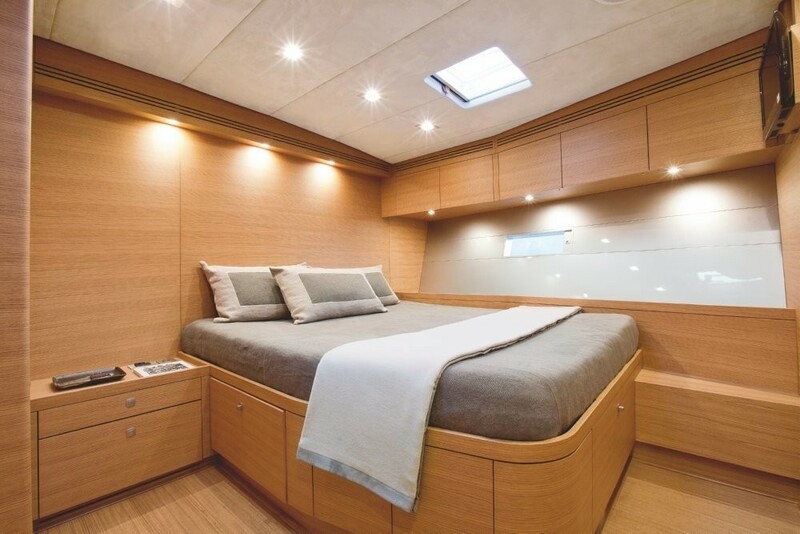 S/Y XNOI boasts a minimalistic interior featuring light beach toned wood panels throughout. Upon entering through the main companion way guests are greeted by a spacious salon. 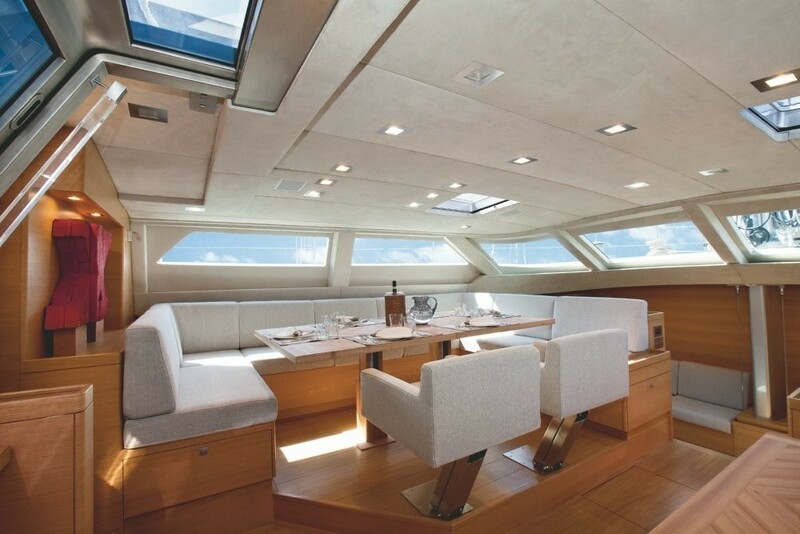 On the starboard side and a large U shaped sofa in a soft grey hue with coffee table is relaxing, to port a formal dining table seats up to 10 easily. Forward of the salon a few steps flow casually into a space dedicated to audio and visual entertainment in the cinema room and office. 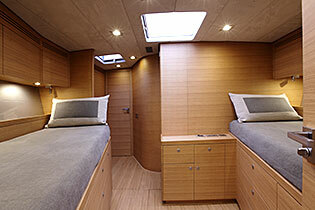 Guest cabins are fore and aft of the salon. 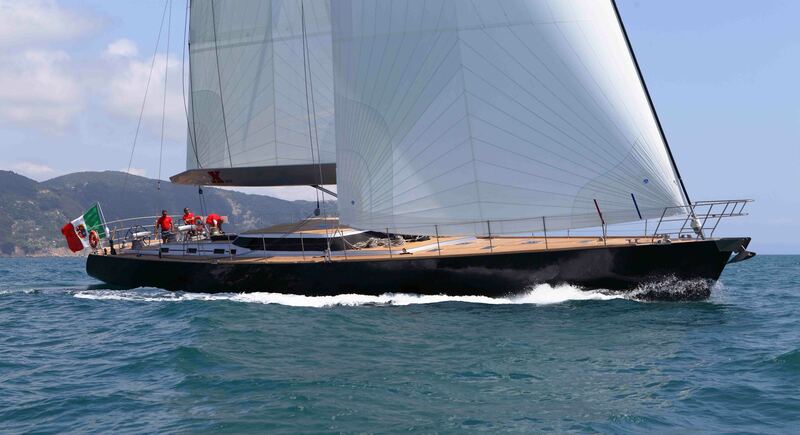 Perini Navi superyacht Xnoi can accommodate 10 charter guests in comfort. 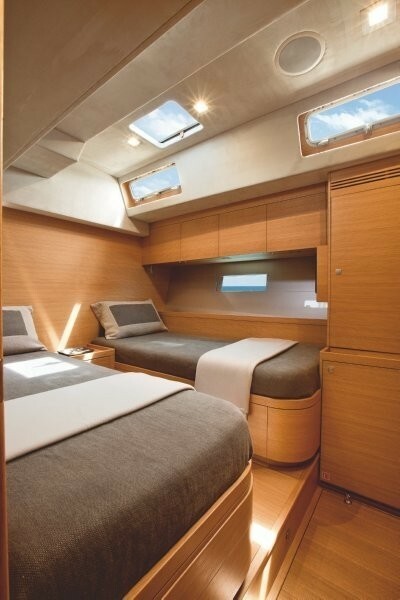 She provides 4 beautiful staterooms. 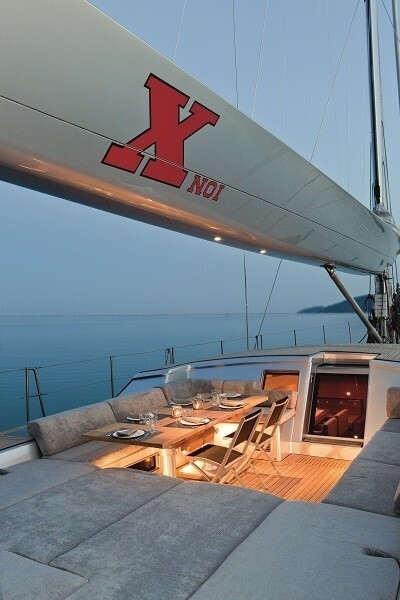 Aboard the S/Y XNOI, deck space is plentiful. 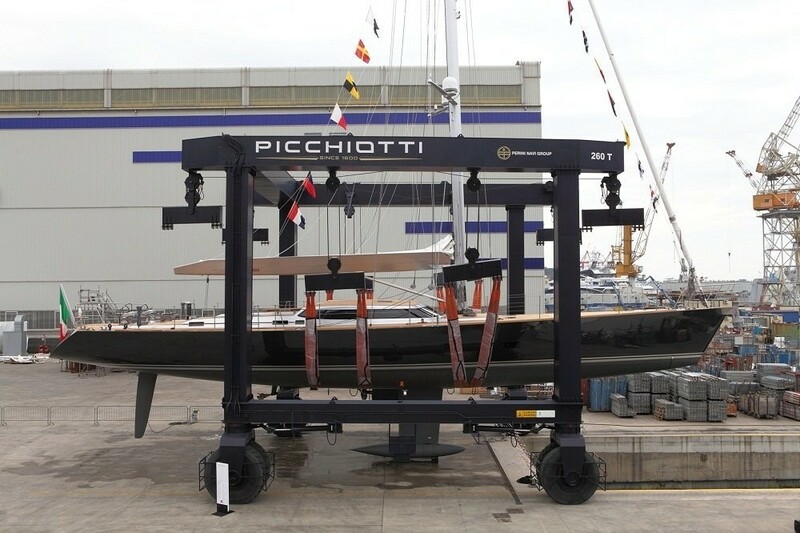 The cockpit has been designed with both the guests and crew in mind. 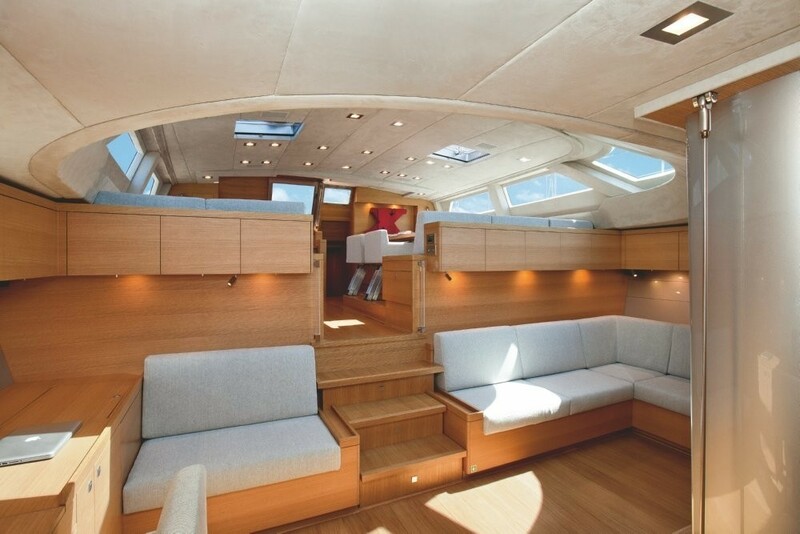 Just above the main companion way a generous cockpit offers ample seating and an alfresco dining option, free of lines and winches, followed by large sunpads. 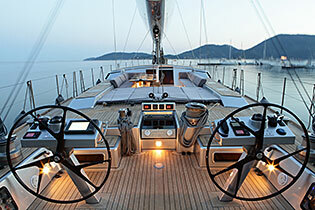 Aft of the guests area dual helms and all the working gear are a sight to watch in action. 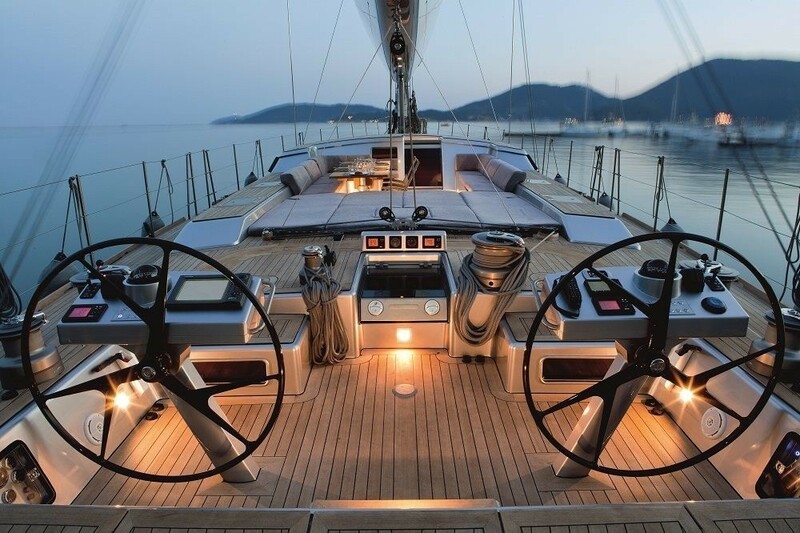 Sailing yacht XNOI was fitted with titanium hardware on her beautiful teak decks. 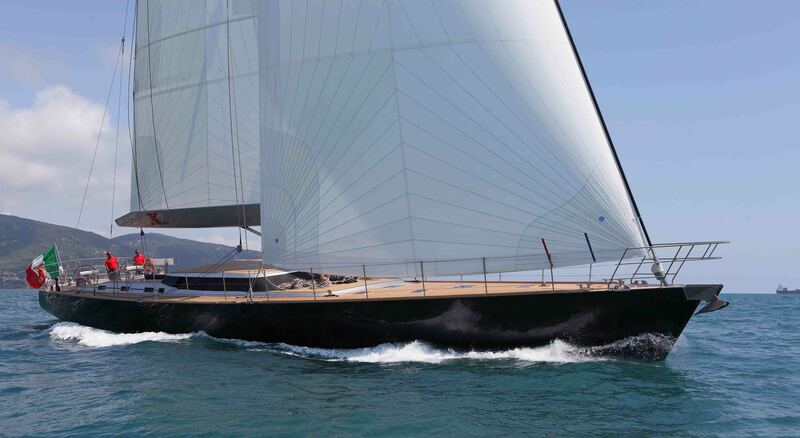 The sleek blue hull and 40m (131ft) rig are carbon fiber, carrying an impressive 420 square meters (4521sq. ft.) of sail area. 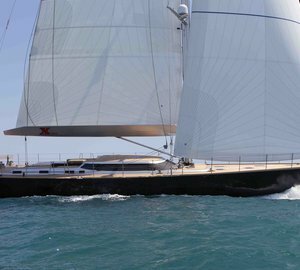 Luxury yacht XNOI has a 7.2m (23.6ft) beam and 4.1m (13.2ft) draft, when not under sail she is powered by a single 305hp Cummins engine, capable of up to 10 knots. 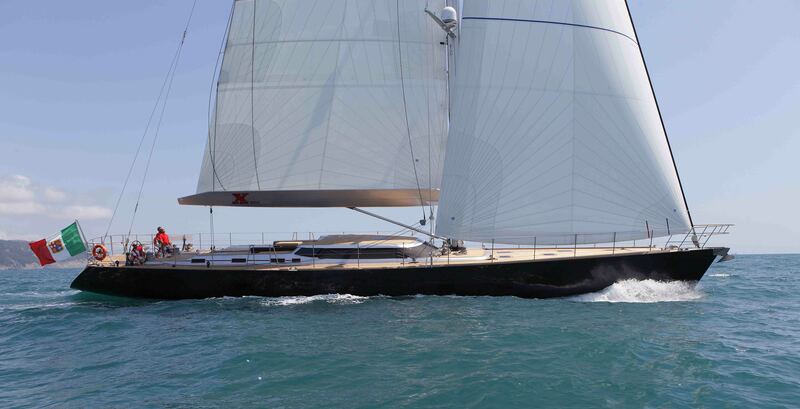 Charter yacht XNOI is based in Italy and the West Med during the summer and in the Caribbean during the winter. 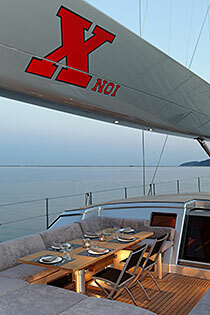 Charter Yacht XNOI accommodates 10 guests in 1 double and 3 twin cabins. 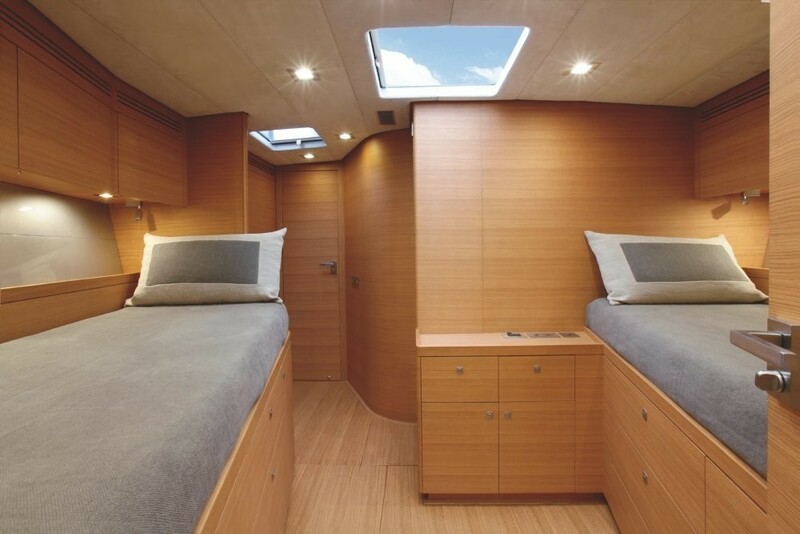 The master cabin features a double bed and en-suite facilities and is situated forward on the port side. 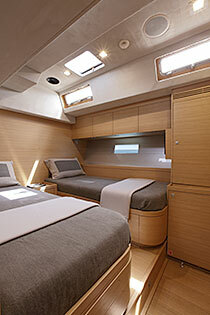 A twin cabin with 2 Pullman berths is full beam forward of the yacht with en-suite facilities. 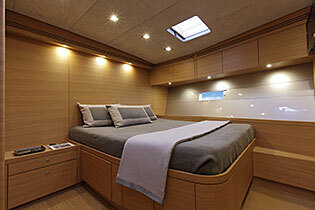 A further 2 twin cabins are aft of the salon with en-suite facilities. 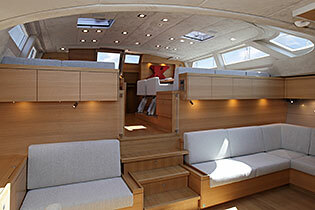 All 4 cabins are spacious, boasting a light and airy atmosphere. 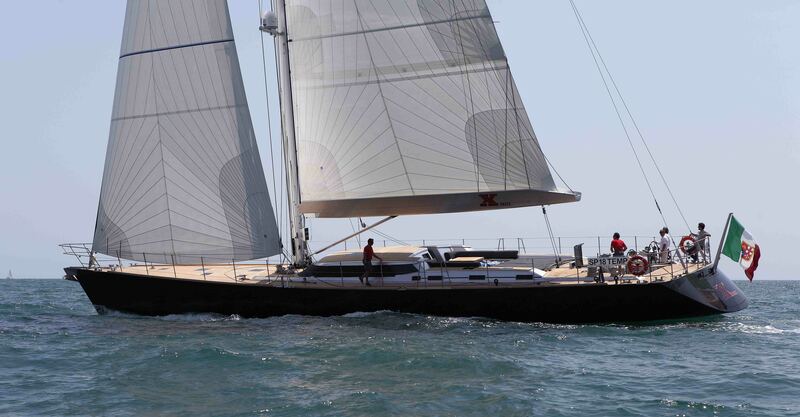 S/Y XNOI has the following extras and amenities: Tenders + toys: 4.3m Tender w/50hp. 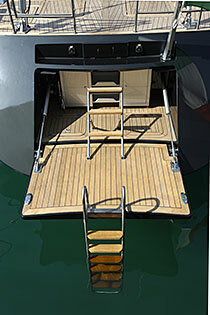 Snorkeling equipment, RDVZ Diving, Please request toys guests would like onboard. Assorted Games - Backgammon, Cards. 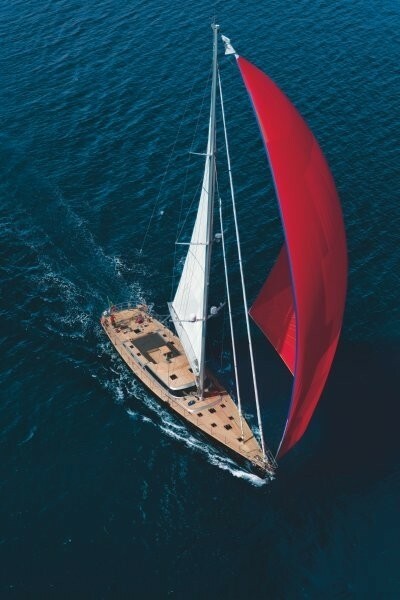 HI Barbara – We have returned from the French Riviera and had a GREAT time - everything went without a hitch, and even the weather behaved well! 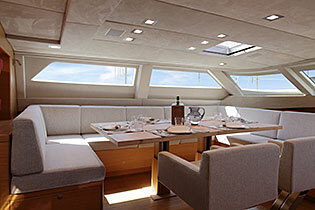 We were delighted about the yacht and felt very confident with the captain. 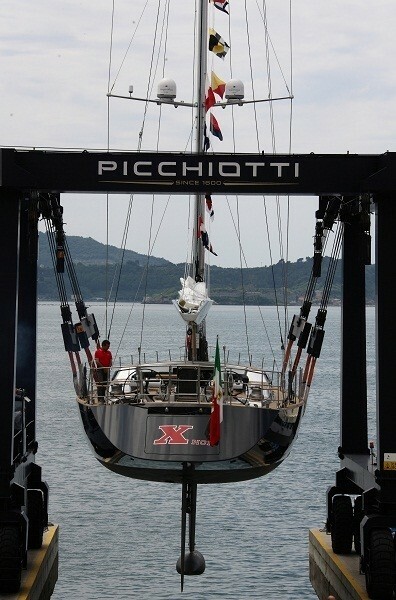 The crew were all very professional and discreet as requested. 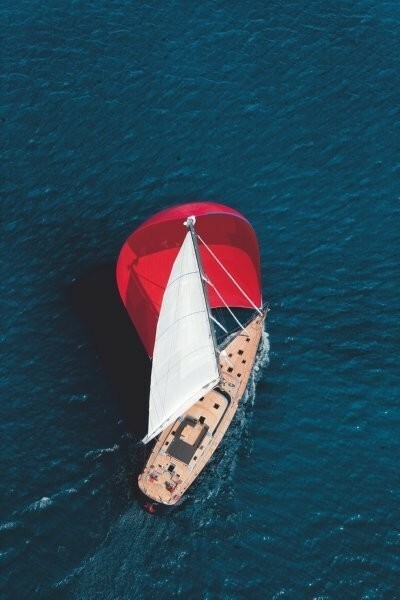 The food and beverages onboard were all excellent. I will also take the opportunity to thank you for your outstanding service during the planning. I feel confident that what was agreed was followed through – and the positive outcome confirms this. 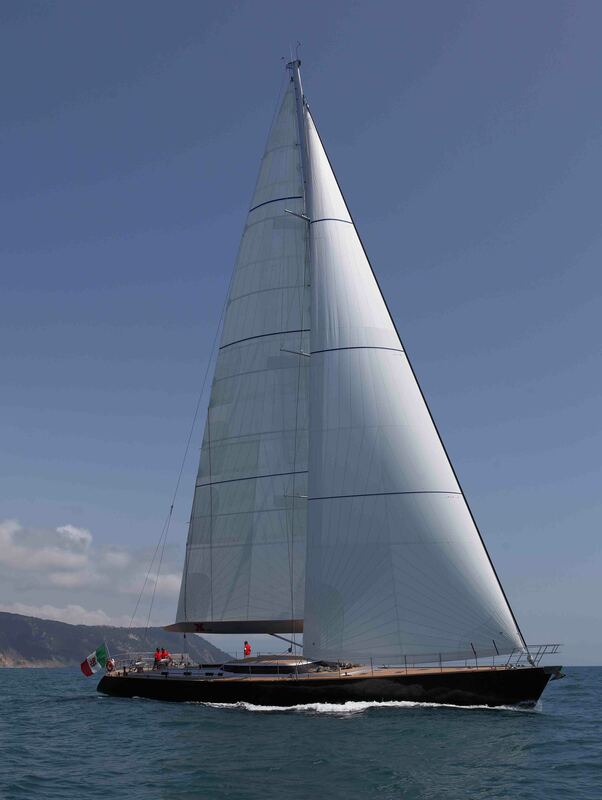 So…the conclusion is that we for sure can recommend CHARTERWORLD as well as the yacht. 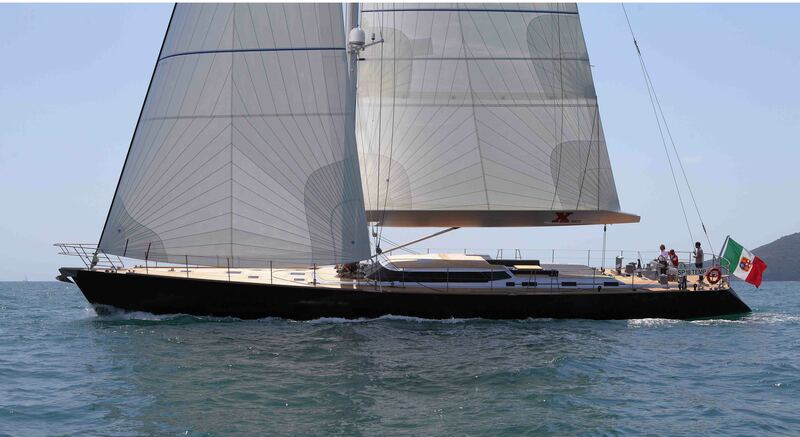 Charter on Sailing Yacht XNOI on the French Riviera in June.